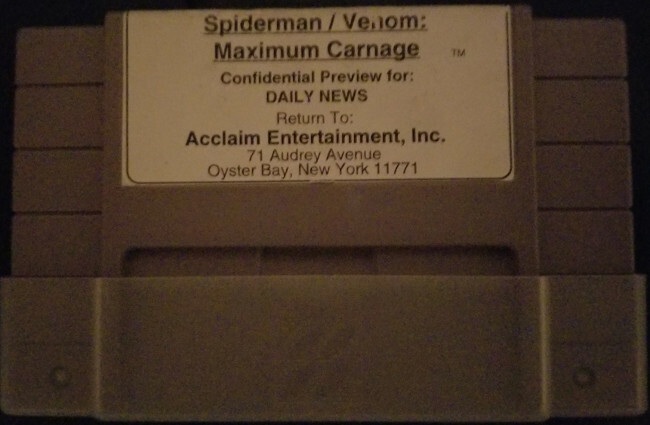 This is a prototype of Spiderman - Venom: Maximum Carnage. 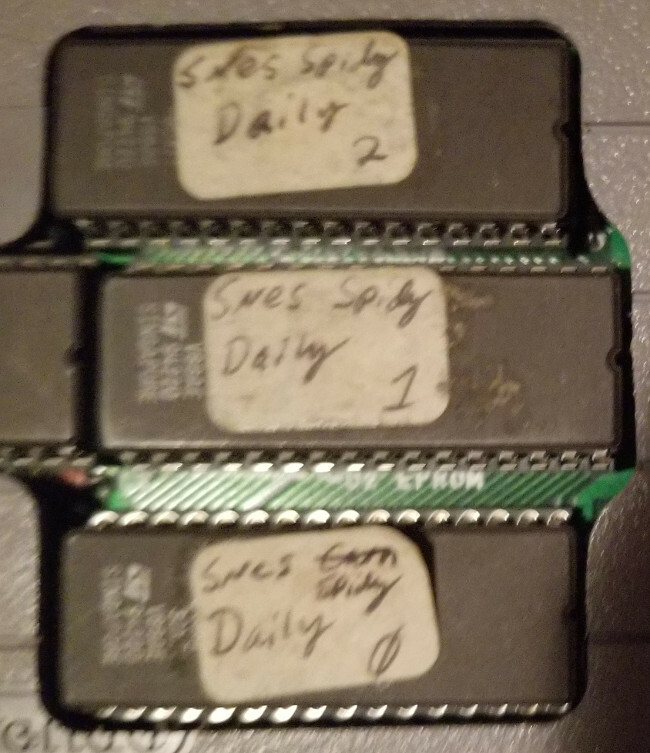 Thanks to donkeykang182 for dumping and releasing the prototype! 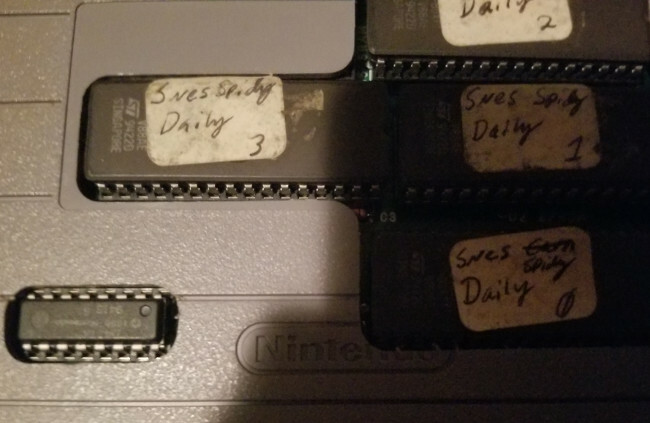 The bytes with 0x7Fxx are header bytes that do not affect the game. The bytes from 0x7FD0 to 0x7FD3 spell out "DNEW", which is obviously a watermark. I put some of the other bytes into a debugger, and it seems to affect the left and right motion of Spiderman. Probably just some minor bugfixes. The developer of the game was Software Creations, which is based out of Manchester, UK. It appears that the PAL version of the game must have been finished first, and that is what was sent to media in the US for review.